Caramelized Acorn Squash Salad with Crispy Shallots. The first time I had something similar to this they served with herb goat cheese on a bed of arugula. 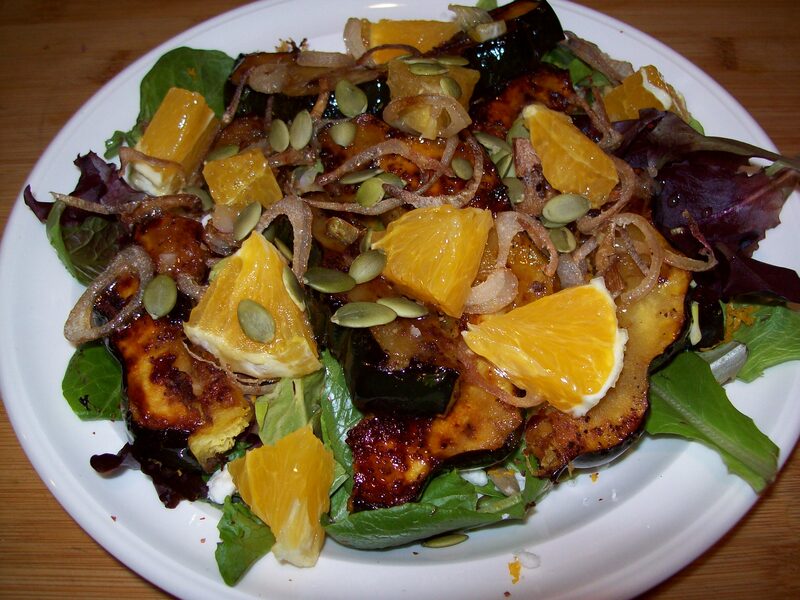 We had on hand crumbled feta, cut up oranges, pumpkin seeds, served on a bed of mixed greens. In fact it was at Stonewall Kitchen cooking class and they made a salad very similar this is my adaptation using what we had on hand. 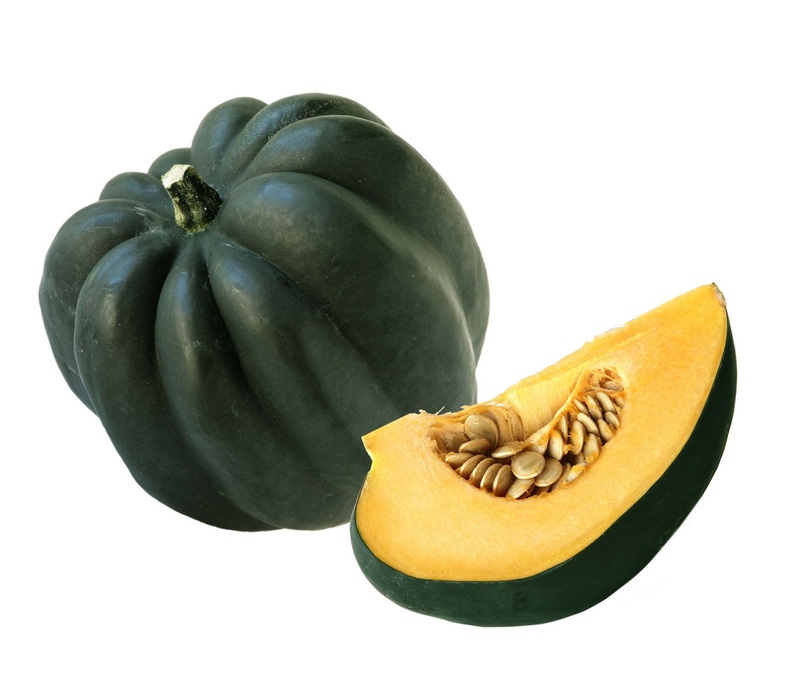 Here is a good site to read about varieties of winter squash. There were 2 of us and this made one fine meal, I even skipped dessert that night which for some reason this last year I have become a dessert person so strange to me. I apologize I was so into cooking that I forgot to take a picture in the pan while cooking. 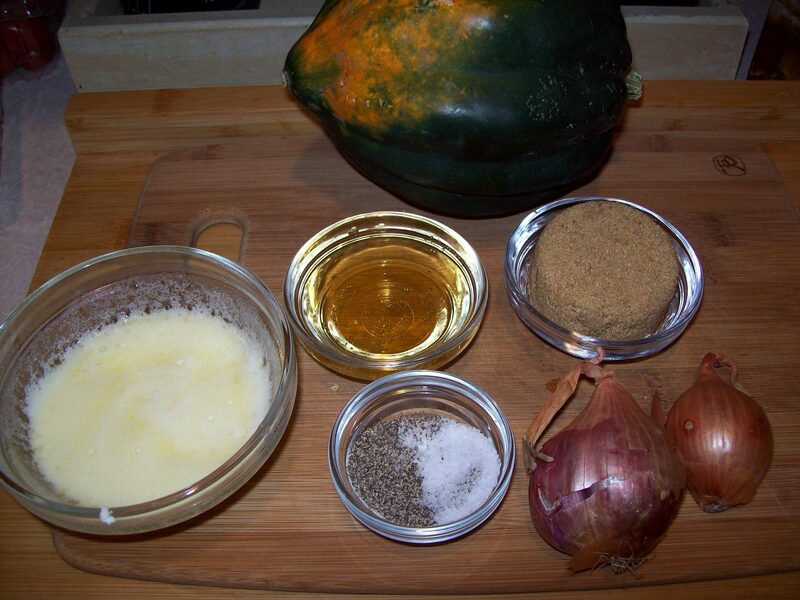 1 Acorn squash or any thin skinned winter squash – the thin skin allows you to eat it when cooked. 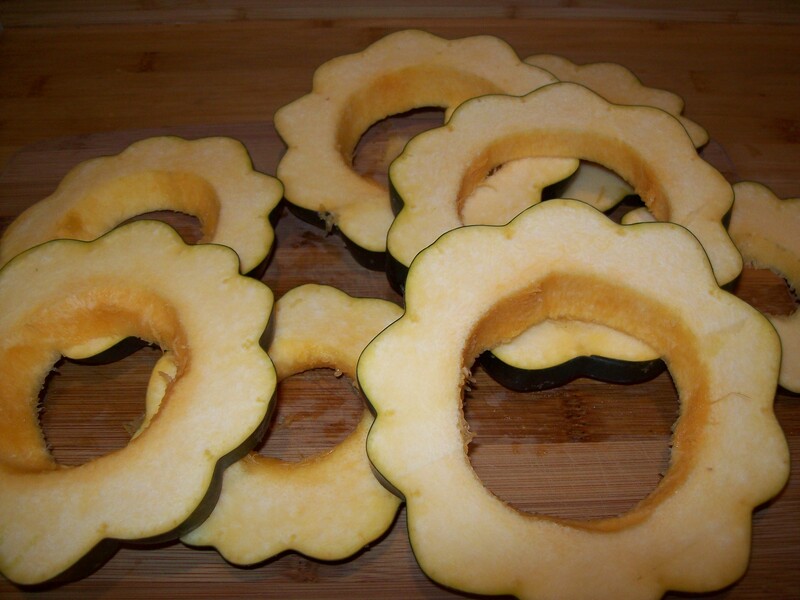 Cut into ½ inch think rings. Combine the sugar, salt, pepper and butter in a large bowl. Add the squash and coat. Heat a large sauté pan over medium heat and place the squash in a single layer. Add apple cider to pan. Allow squash to cook and apple cider to reduce until squash is tender and the glaze begins to caramelize. While pan roasting, turn the squash with a spatula to be sure it browns evenly. I think next time I might melt the combination making it easier to coat the squash. My pan was a little too small so I ended up using half rings to fit. Bring cider, juice and honey to a boil in a small saucepan. Cook 10 minutes or until reduced to about 2 tablespoons. Pour into a medium bowl and let cool slightly. Add shallots, vinegar, Dijon salt and pepper stir with a whisk. Gradually add the olive oil stirring constantly with a whisk. Set aside. Heat canola oil in a small sauté pan. Toss shallots in rice flour, shaking off excess. Fry rings until crispy and lightly golden. Remove from oil and season with salt. Drain on paper towel. To be honest the first batch burnt, the second was not quite crispy enough, and the next batch was perfect. Sound like a familiar story to you? I used the 2nd and third batch tossed the first. Learned you got to watch them cause they turn real quick. This entry was posted in Information, Salad Dressings, Salads, Side Dish, Vegetable, Vegetarian, Vegan and tagged Acorn squash, Black pepper, Cook, Mustard (condiment), Olive oil, shallot, Stonewall Kitchen, Tablespoon, Winter squash. Bookmark the permalink. This looks binge-worthy! Perfect for my upcoming acorn squash harvest.